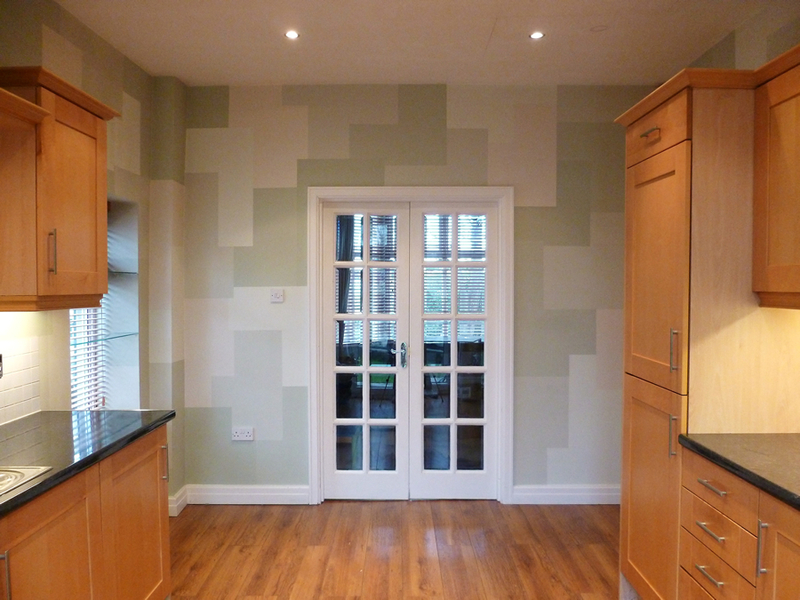 This owners of this kitchen wanted a modern paint effect that was stylish and funky. 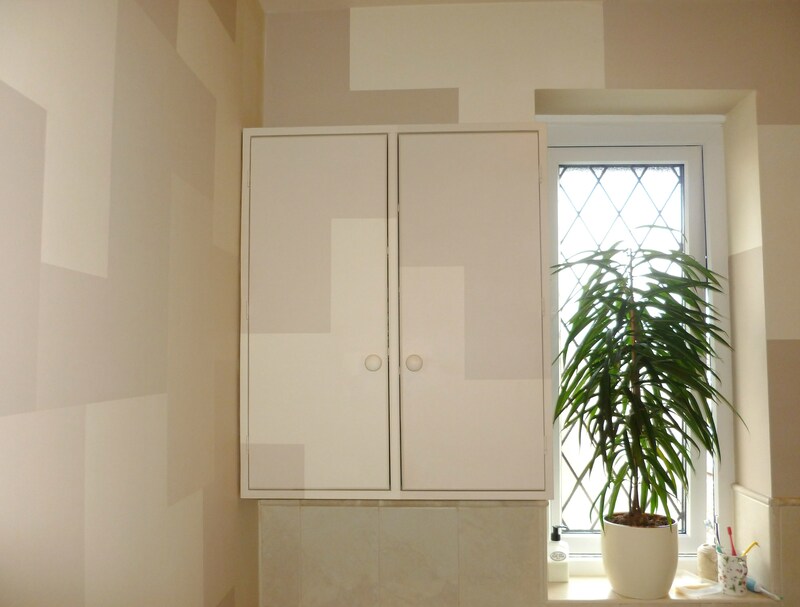 With this in mind I came up with the idea of the walls having a random geometric jigsaw piece design. Each of the ‘pieces’ are painted in solid colour and used one of the 5 colours chosen for the overall scheme. Paint effects are often seen as outdated but as you can see they are extremely adaptable and if you’ve got the imagination you can create something that’s truly unique and contemporary. 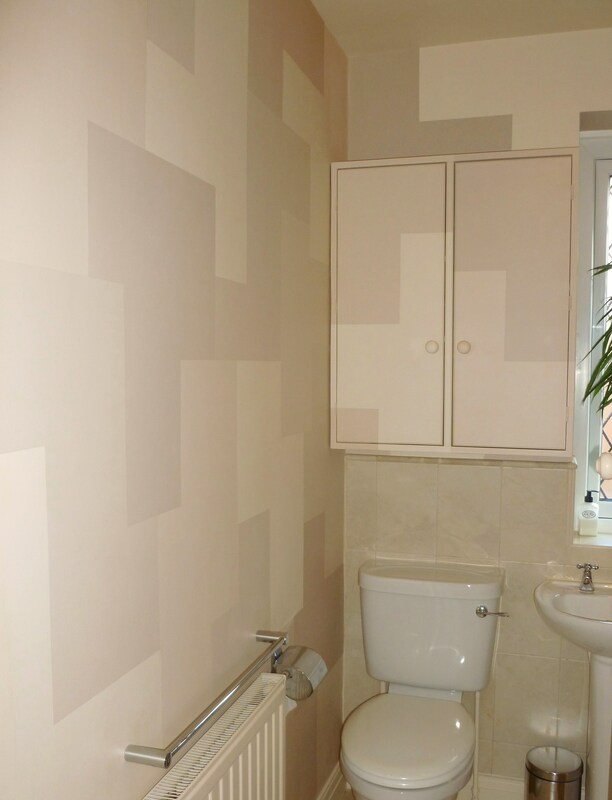 For this paint effects job the client wanted something wacky to spruce up her bathroom walls. 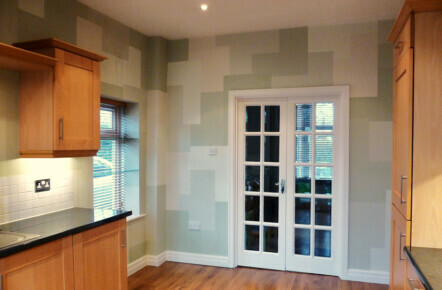 The house had a fairly contemporary feel so I suggested doing my geometric design and she was really keen on the idea. The colours chosen were pretty light beige’s which not only made the room feel bigger but complimented the tiles perfectly. I also varnished the walls in matt when I’d finished the effect so as to create the perfect durable and wipeable bathroom wall surface. Please use the following links to find out more about specific paint effects for Hand Painted Furniture, Faux Finishes or to see the main Paint Effects Gallery.